zarinahtakesapaycut: Dear PM Najib, will this same nonsense by regulators be tolerated by the Singapore Government? Dear PM Najib, will this same nonsense by regulators be tolerated by the Singapore Government? The vast majority of us still support you, but you will steadily lose support if you turn a blind eye towards matters like this. . 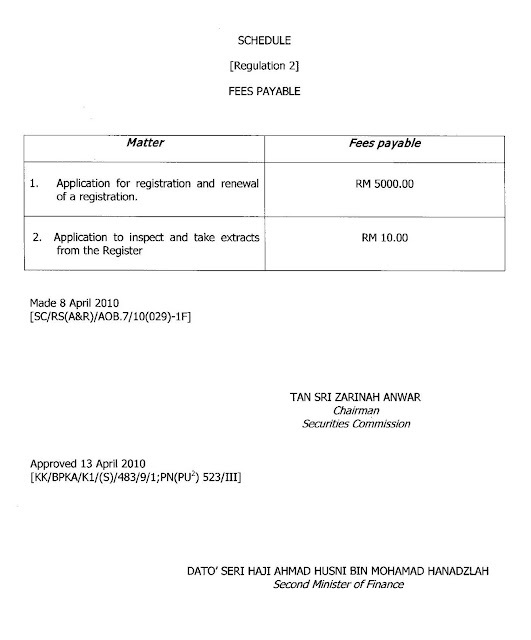 Fact 1: How was the AOB able to release the handbook for registration and the forms before the 1st of April, when Nik Mohd Hasyudeen and the rest of the board were themselves only appointed on the 1st of April 2010, and was announced in the media on the 2nd of April, 2010? Fact 2: How could the AOB register any auditor on the 1st of April when the law to collect the fees for registration was only signed into force on the 13th of April by the Second Finance Minister, to take effect on the 15th of April? 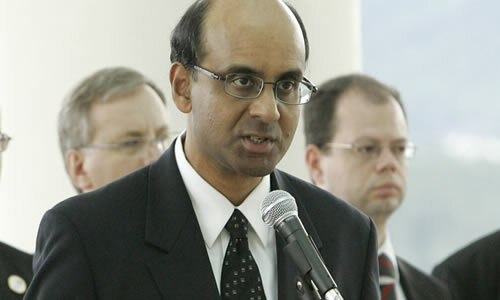 Singapore's Minister for Finance, Mr Tharman Shanmugaratnam, a man that brooks no nonsense. PETALING JAYA: Five accounting firms were the first to run into trouble with the Audit Oversight Board (AOB) because they had accepted appointments last year as auditors of public interest entities (PIEs) without first registering with the board. Three listed companies Brite-Tech Bhd, CN Asia Corp Bhd and Mintye Industries Bhd were among those that had engaged these firms when it was illegal for them to act as auditors of PIEs. After detecting these cases in its monitoring of the AGMs of PIEs, the AOB sent show-cause letters to the five firms, asking them to explain why they had failed to register with the board before agreeing to become auditors of the PIEs. However, because the regulatory framework for auditors was just introduced last April, the firms have been spared stiff penalties and are allowed to audit the financial statements of PIEs. Nik Mohd Hasyudeen Yusoff says the AOB had dealt swiftly with the five firms. AOB executive chairman Nik Mohd Hasyudeen Yusoff said that the idea behind setting up the board was to ensure robust oversight of auditors. As such, it viewed any breach of law seriously. He added that the AOB had dealt swiftly with the five firms and had sent “a very strong signal” that it would not tolerate such incidents in the future. “Having considered the firms' explanations and considering that this is the first year that the new law is implemented, we issued warning letters to them. We also require them to do certain reporting to us on a periodical basis to make sure that they are in compliance with the law. They are now registered. These are issues that we faced at the early stage of implementing this new law,” he told StarBiz. 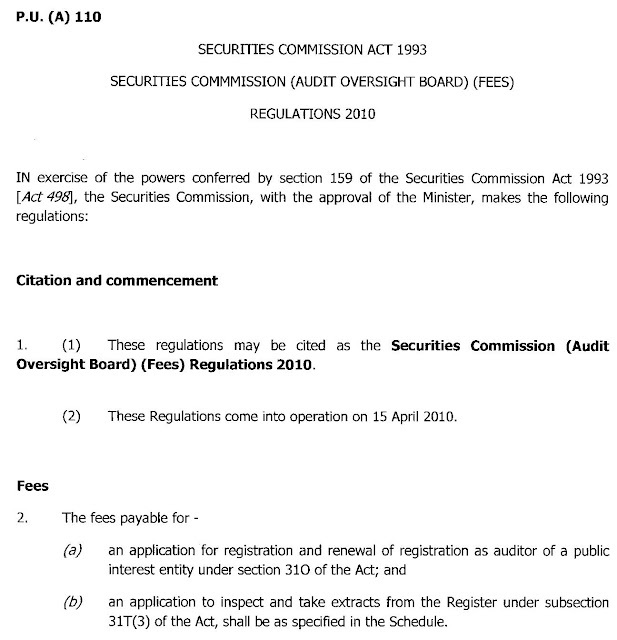 The Securities Commission Act 1993 was amended last year to provide for the establishment of the AOB and for related matters. Among other things, the new rules require that an auditor of a PIE be registered with the AOB. PIEs include listed companies, banking and financial institutions (including Islamic banks and development financial institutions), insurance companies and takaful operators, and holders of Capital Market Services Licences (such as securities and futures trading firms, and fund management companies). The amendments came into effect on April Fools' Day last year, which was also the day the AOB commenced operations. 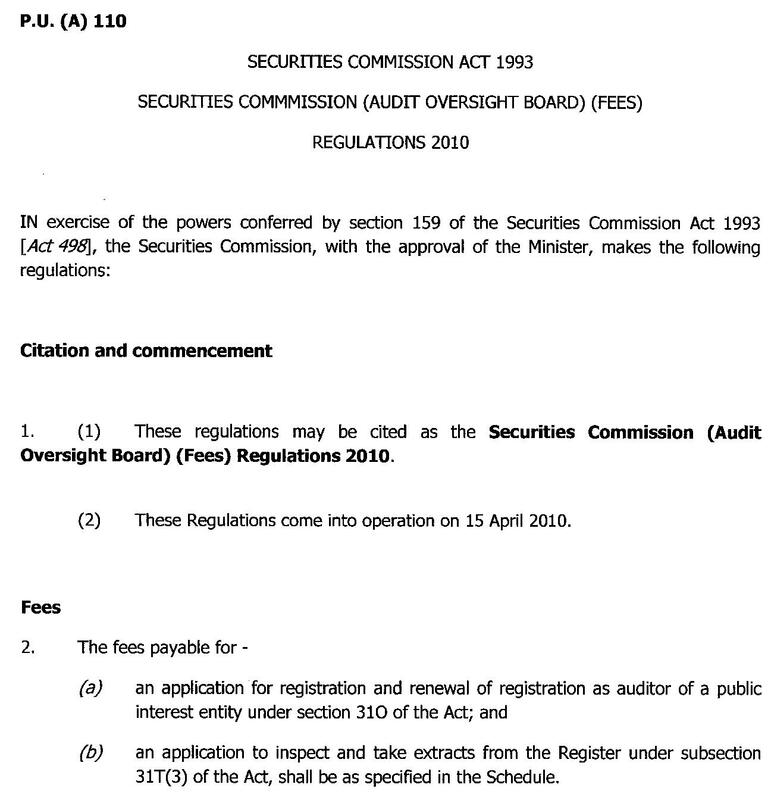 This meant that auditors that were due to be reappointed in AGMs scheduled to be held in the first few days of April had to quickly register with the board. Given that many of their audit clients are PIEs, the larger firms were naturally among the earliest to be registered. For example, Ernst & Young (EY) and PricewaterhouseCoopers (PwC) were registered on April 1 itself, while KPMG got into the AOB register of auditors on April 9. Mohd Hasyudeen explained that the board could register EY and PwC on its first day because a lot of groundwork had been done earlier to ensure that the firms knew the criteria for registration and could thus submit applications with the necessary information and documentation. Prior to April, the Securities Commission had made available the registration handbooks and forms, and had fielded enquiries about the registration process. Another factor that figured in the AOB's speedy approval of registration applications was the need to avoid disruptions in the PIEs' appointment of auditors. “AGMs had already been scheduled and we did not want to see companies having to postpone the meetings and incurring costs just because the auditors could not accept appointments after failing to register in time. “We pre-empted all these issues to make sure there was a smooth transition and implementation. We are in the confidence-building business. News that companies have failed to appoint auditors may not be positive. 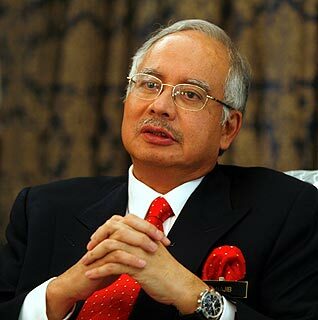 So we cautiously manage that process,” Mohd Hasyudeen said. For the board, there is an additional layer of assurance in the fact that a criterion for AOB registration is that the auditors must already be approved by the Finance Ministry under Section 8 of the Companies Act 1965. Under the Companies Act, the Finance Minister gives such an approval to a company auditor when satisfied that the applicant is “of good character and competent to perform the duties of an auditor under this Act”. Mohd Hasyudeen pointed out that the registration process is not the only time that the auditors are subject to the AOB's scrutiny. “If the auditors are registered and subsequently we find that they have not been truthful to us say, they have submitted misleading information or have omitted important information we will act against them. That's why we conduct inspections of auditors,” he added. The AOB declined to provide details of the five accounting firms that have been given warnings. However, by comparing announcements on the Bursa Malaysia website with the board's register of auditors, StarBiz has found that three firms had been appointed auditors of listed companies before they had been registered with the AOB (see table on B1). Another three were appointed on the same day their applications for registration were approved. PETALING JAYA: The Securities Commission (SC) yesterday named the executive chairman and six non-executive members of the Audit Oversight Board (AOB), whose appointments are effective immediately. 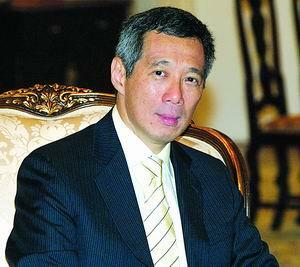 “I’m very honoured to be appointed by SC as the first AOB chairman,” he told StarBiz. He said the AOB was helmed by a team of professionals appointed by SC because of their credentials, maturity and vast experience in various fields. “The SC has entrusted us with an important role to create greater trasparency in financial reporting of PIEs and professionalism in auditing in the development of a stronger capital market,” he said. ·Teak Capital Sdn Bhd managing director Chok Kwee Bee."